I'm very new to QGIS and am having some issues using the SAGA IDW tool. I'm attempting to perform an interpolation using the 10 closest sample points and an inverse distance power of 2. I would like to specify a cell size of 5000 meters; however, the cell size appears to be much larger than 5000 meters on the output grid. What am I doing incorrectly? Your points are in EPSG 4326 which is WGS84, a global coordinate system in degrees. As @csk mentioned, it's 5,000 degrees and not meters. Your input data should be in a projected coordinate system. So you either need to project your data if it's in EPSG 4326 or change its coordinate system if the wrong one is attached. Not the answer you're looking for? 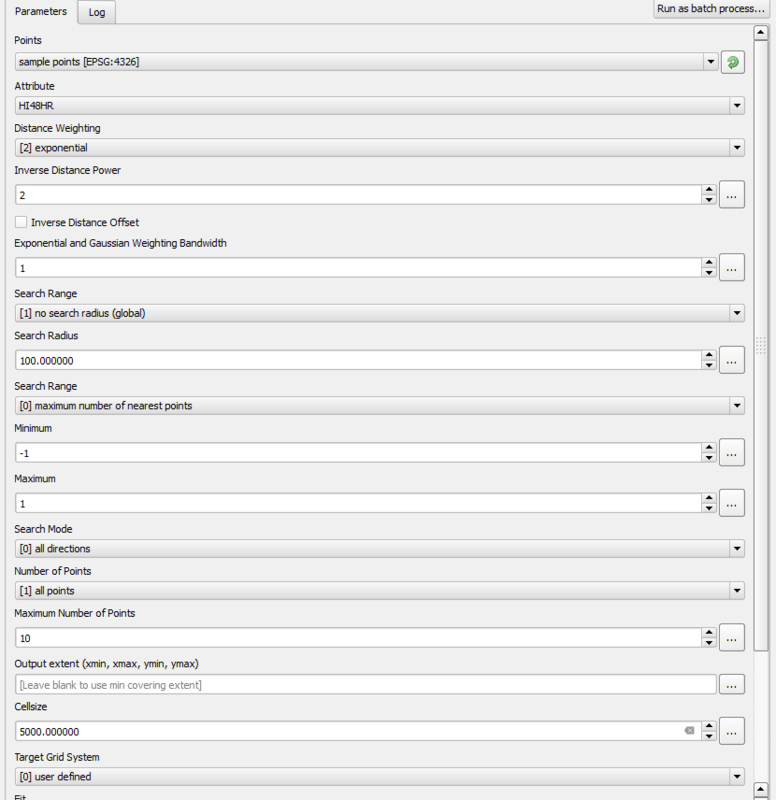 Browse other questions tagged qgis inverse-distance-weighted or ask your own question.